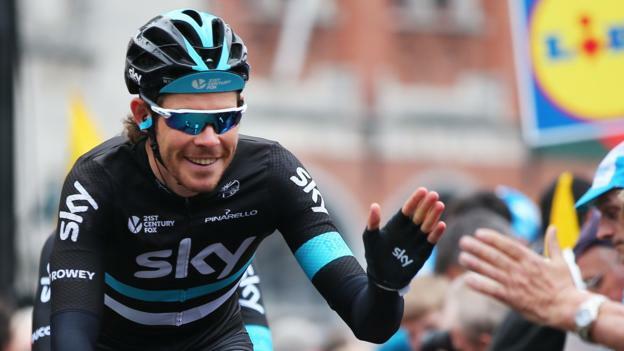 Welsh cyclist Luke Rowe has signed a contract extension to keep him at Team Sky until 2021. Rowe turned professional with the team in 2012 and Team Sky say his efforts were “pivotal” to compatriot Geraint Thomas’ 2018 Tour de France triumph. He had recovered from a broken leg suffered while whitewater rafting on his brother’s stag party. “The team backed me straight away after my injury, whereas some teams would have turned their back,” said Rowe. The 28-year-old, who represented Wales at the 2014 Commonwealth Games, added: “I’ve been with Sky since the start of my career and I really feel a part of the furniture here.